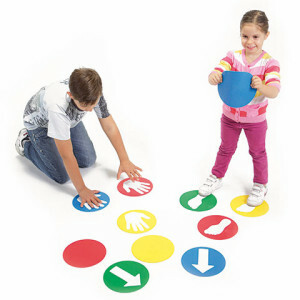 Gymnic Educ'o Disks are great way for children how to distinguish between right and left hands and feet. 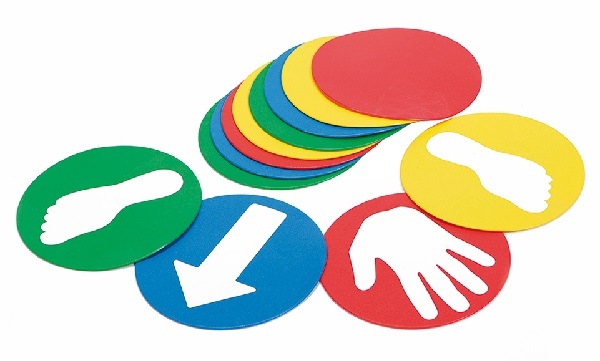 These thin, soft colored disks, together with the hand and foot adhesive shapes they are supplied with, allow to create always new routes in order to increase orientation and coordination, and to teach little children how to distinguish between right and left hand. Kids love using these colorful disks. The set includes 12 disks (3 for each color), 6 hand shape stickers (3 x right hand and 3 x left hand), 6 foot shape stickers (3 x right foot and 3 x left foot) and 3 arrows. Educ'o Disks are made of super strong, latex free vinyl. Disc Size: 21cm ~ 8"